ARE YOU GUILTY OF USING THIS FIVE-LETTER WORD WITH YOUR KIDS? Recently during one of my coaching calls a divorced parent I was working with casually dropped a little five-letter word that always stops me dead in my tracks. It wasn’t the first time I’d heard a parent say it, and sadly, I know it won’t be the last. As a matter of fact, I see it used all over the internet and frequently notice other respected divorce professionals tossing it around too. The thing is… whenever I hear it, I just can’t LET. IT. GO. She was a divorced mom who had called me in a blind panic. Things had taken a turn for the worst since her kids had moved in with their father and she was desperate to get things back on track. Sadly Dad wasn’t helping the situation and had been badmouthing Mom at every turn. As a result, her children were becoming more distant and starting to grumble about spending time with her. The really disturbing thing…just a few months ago everything had been fine between her and her kids. As she laid out the details of her situation, that’s when this cringe-worthy five-letter beauty got blurted out. The big offender you ask? 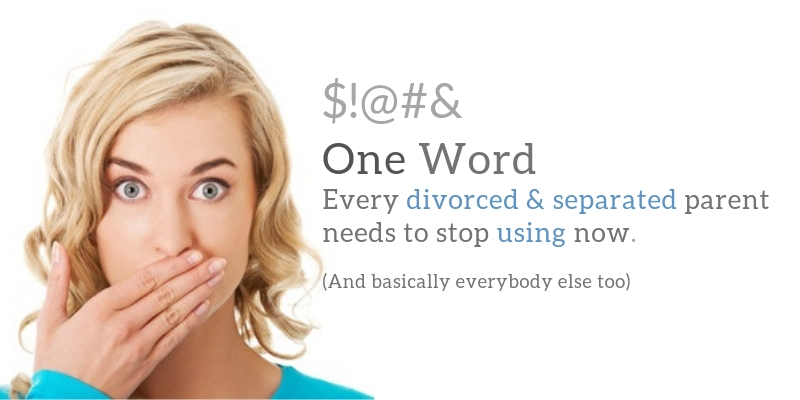 V-I-S-I-T.
WHY YOU SHOULD STOP USING THE WORD VISIT AFTER YOUR DIVORCE. In my book, “visit” and “visitation” are not just words. They’re concepts. Concepts that do a huge disservice to children and parents AND completely undermine the value of family. On the surface, it might seem pretty harmless. After all, what do you do when someone visits you? Well…most of us set our sights on entertaining our guests and having a good time. If you’re a decent host, you probably also go out of your way to make your guests feel comfortable. We do all of this with the expectation that the time we have with our guests is TEMPORARY and PRECIOUS. So we pack it with fun and keep things light. I mean what kid wouldn’t want to be entertained and have fun when they’re spending time with you? And on the flip side as a parent (who might not have a lot of time with your children) those days are precious. Why wouldn’t you do everything you could to make the time you have with your kids exciting and enjoyable? CHILDREN AND PARENTS ARE NOT VISITORS IN EACH OTHER LIVES, THEY ARE FAMILY. A divorce ends a marriage, not a family. All those needs children have before the split, will still be there after parents part. AND that includes feeling a sense of belonging and connectedness with each parent. Regardless of how time is spent between the households, kids need to know that they still share a life with each of their parents and that they will continue to be a permanent fixture in their day-to-day lives. As a divorce coach and parent educator with twenty some odd years under my belt, I’ve seen a lot of shifts in the culture of divorce. From sole custody to joint custody, shared parenting to co-parenting. Through it all, I’ve been a relentless advocate of ditching outdated court-based language that diminishes the value of family. Terms like “visit,” “visitation” and “child custody” in my opinion are some of the worst offenders. And yet, they still get used all the time. Not just by lawyers and judges but also by parents and the professionals who are trying to help them. When words like “visit,” “visitation” and “custody” get thrown into the mix, parents stop being viewed as equals. One parent gets to become the “real” parent who provides a “primary” home for children, while the other parent becomes a “visitor” and gets to take a backseat in kid’s lives. Not surprisingly, parents placed in the “visitor” role often feel diminished and removed from their children’s lives. Most “visitor” parents feel discouraged, frustrated and discounted. To level the playing field, parents who feel like “visitors” may focus more on being the “fun” parent who doesn’t implement rules, structure or consequences. Instead, they make the most of their “visiting” time. When this happens, the tension between households ramps up pretty fast because the other parent gets saddled with always being the heavy. “Primary” parents, by default, become the ones who have to manage the bulk of child-rearing activities like enforcing rules, doing homework, setting consequences and tracking day-to-day life for kids. “Primary” parents often feel overwhelmed, resentful and unvalued. As a result, frustration with one another ratchets up on both sides, and coparents end up feeling divided rather than unified. As mentioned before, when children feel like “visitors” in a parent’s life, time with that parent becomes incredibly precious. Kids may view their relationship with the “visitor” parent as fragile and fleeting. For this reason, they may be very reluctant to rock the boat and become a “perfectly” behaved kid in that household. In short, children don’t feel secure or have a sense of trust when a “visitation” mindset is in play. AND this creates a real problem for the “primary” parent who along with all the responsibility, may also get hit with all of the acting out. Often when a parent remarries or re-partners these feelings can quickly escalate especially, if there are other children who live in the household full-time. AND If you have a coparent who is fueling the flames, it may not take much for them to exploit those feelings and influence kids to reject you. So what can you do to turn things around? Regardless of how much time you have with your kids, do yourself (and them) a favor by taking that five-letter word out of your vocabulary. While it’s a subtle shift, it’s an important one to make. No matter how much time your kids spend under your roof, reassure your children that your home will always be a place they belong. Kids need to hear loud and clear that while their parent’s feelings for each other have changed, the love that’s shared between parents and children is forever. Continue to act like a family. Being a family involves more than just having a good time and doing fun stuff. When your children are with you, spend time doing homework, cook dinner together, have them help out around the house, sit and read a book, take them to special events like a friend’s birthday party or after-school activities. Along with that, be sure you do your best to provide children with structure and discipline. Kids who are able to do whatever they want, whenever they want, without consequence have a much harder time growing into happy, secure and successful people. If you have a coparent who isn’t willing to support a two-home concept, do what you can to strengthen connection and a sense of belonging when your children are with you. You can also engage with your kids outside of the home by doing things like going to school to have lunch with them or showing up to after-school events like soccer games, school plays or awards ceremonies. For parents who have the role of “primary” parent, doing what you can to support a two-home concept on your end benefits you too. 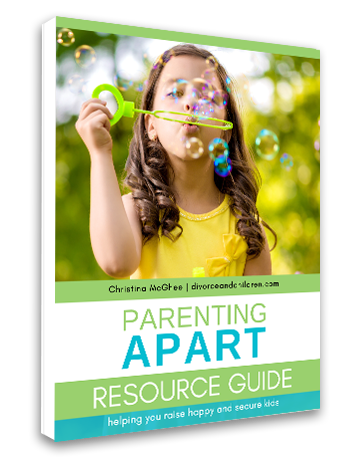 If you have a coparent who isn’t stepping up, take a shot at engaging with them differently. Start by talking about “parenting time” instead of “visitation.” Invite the other parent to be involved in school activities or other kid-related events. Ask them to help with homework assignments and special projects. If your coparent feels valued and acknowledged, they just might surprise you. Maintain your connection when kids aren’t with you. I can’t tell you how many times I’ve heard parents complain about how their children don’t ever call or text them. Guess what? It’s not their job, it’s yours. Children need to be reassured that they matter to us and that divorce hasn’t changed that. One way to reinforce how important your children are to you is by initiating that contact on a consistent and regular basis when they’re not with you. Keep in mind, every text you send or call you make isn’t going to lead to a meaningful conversation. The goal is to let them know you’re thinking of them. Not only will consistent contact help your children feel more secure, but recent research also shows that kids who are able to maintain a close and connected relationship with each of their parents post-divorce are more well-adjusted than children who don’t. Believe it or not, sending texts, picking up the phone to call or video chat makes a big difference. Bottom line, words have power. Don’t fall into the trap of letting outdated court-based language dictate what kind of relationship you have with your children. When parents split up, families don’t end, they change, and it’s incredibly valuable for your kids to hear that. How do you feel about the word visit? Got something to share? Please chime in below, I’d love to hear from you.